When looking for a plumber in SE1, it's crucial that you find a company that are local to the area and can provide you with trusted and experienced engineers. PGS Plumbers in SE1 are just the people for this. 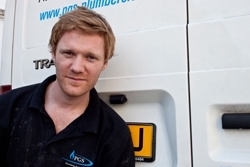 The PGS Plumbers workforce prides themselves on providing top quality customer service and workmanship to customers throughout SE1 and surrounding areas. What services can PGS provide? PGS Plumbers in SE1 can handle all home plumbing and heating work, as well as unblocking drains quickly and efficiently. Call us now to discuss your needs: 0203 674 1686.